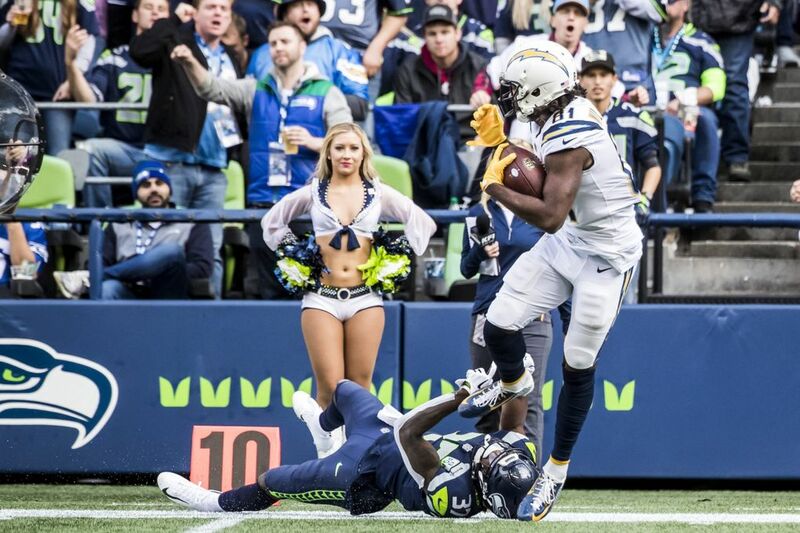 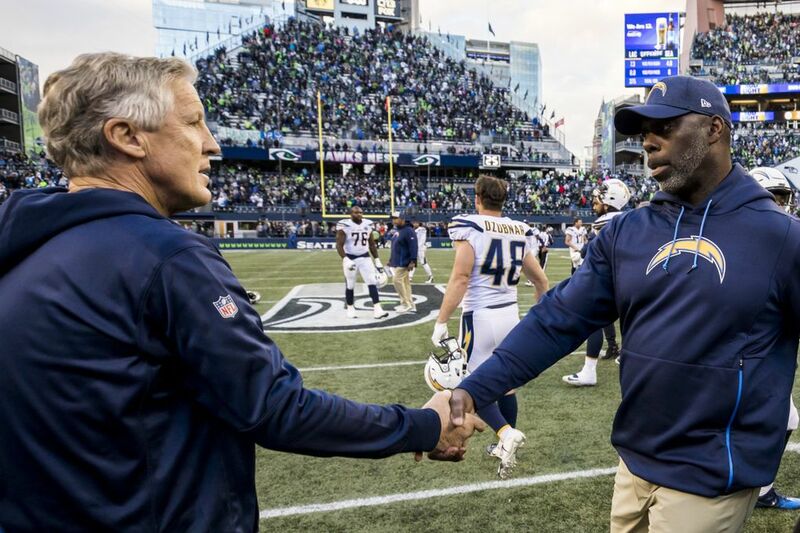 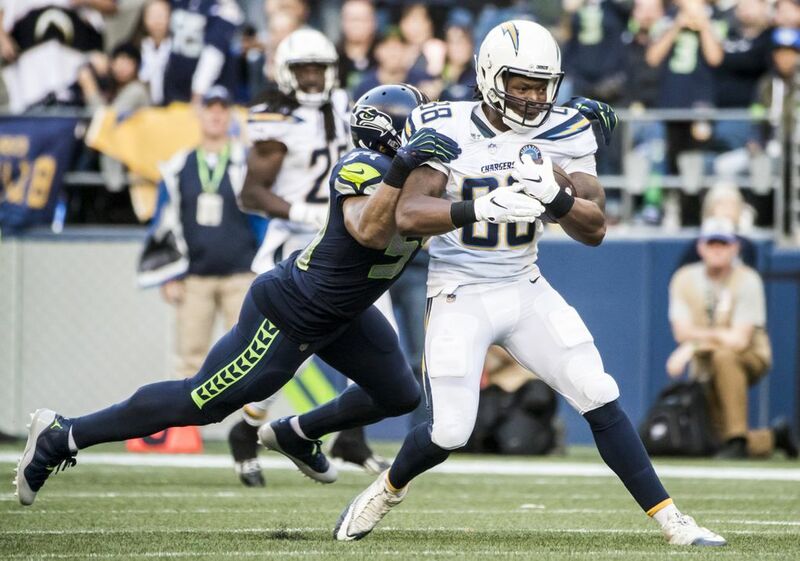 The Seahawks fell behind in the first half but managed to hang with the Chargers. 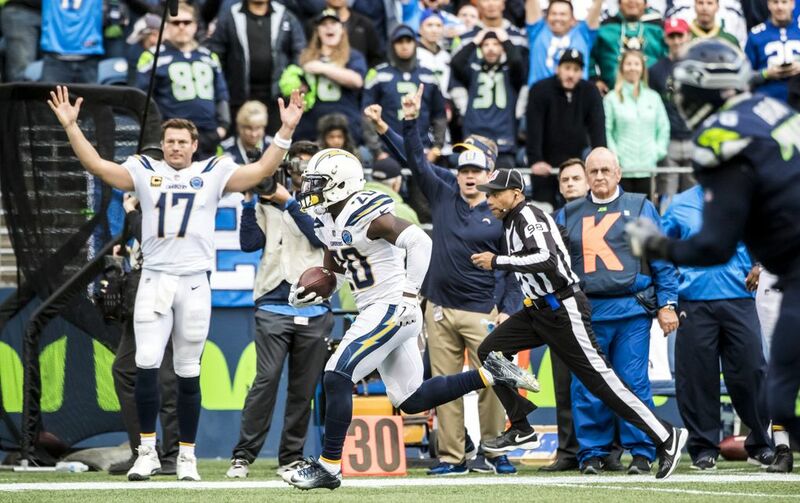 Everything came down to one final play from the opponents' 6-yard line. 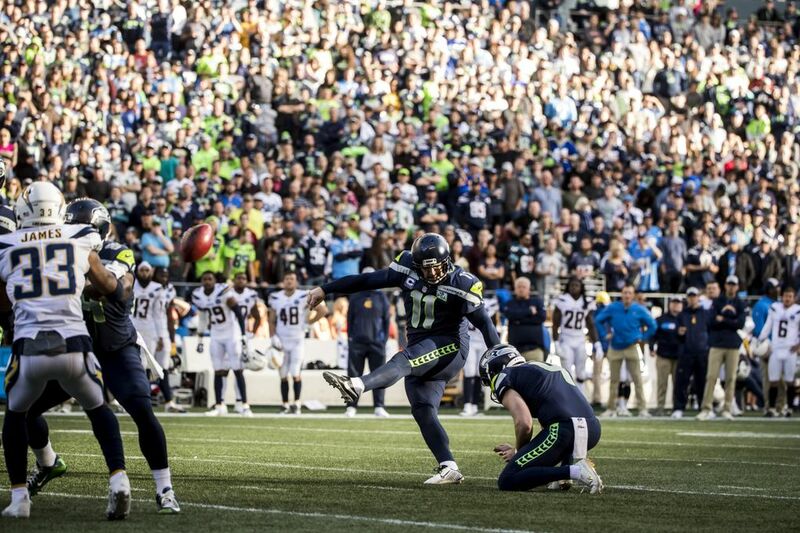 This time, however, things didn't go Seattle's way. 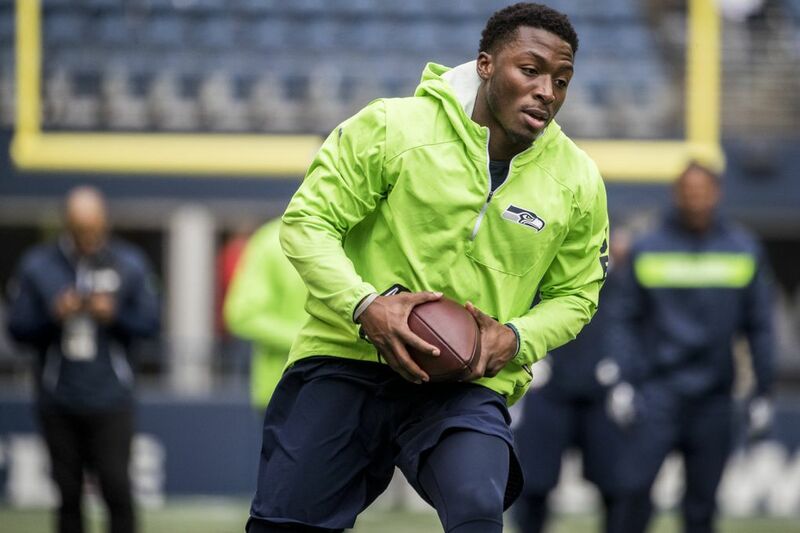 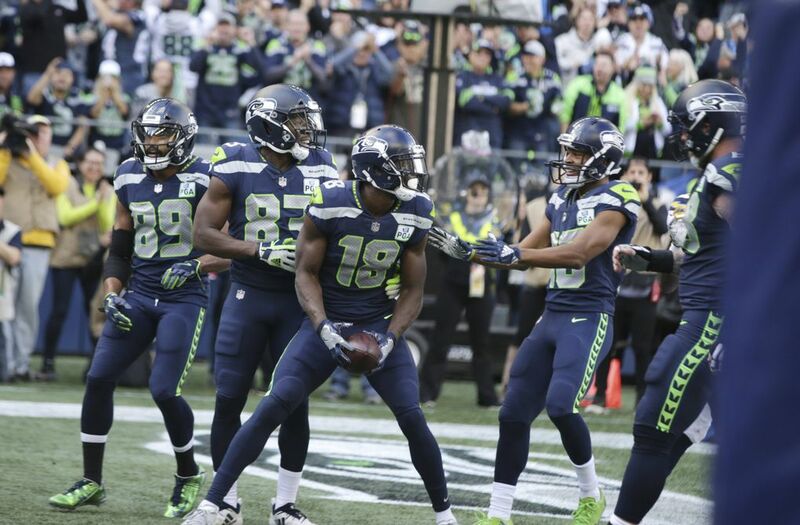 Officially, the last play the Seahawks ran Sunday afternoon took no time off the clock. 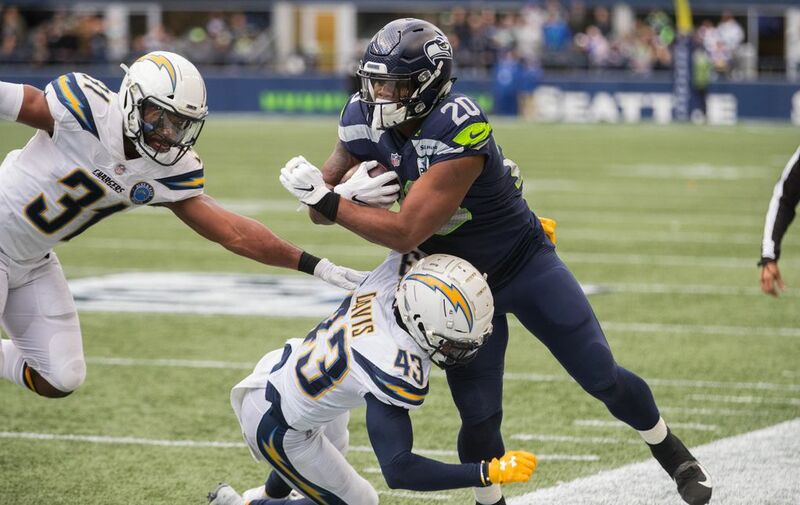 It came on an untimed down granted to the Seahawks following a pass interference penalty on the Los Angeles Chargers. 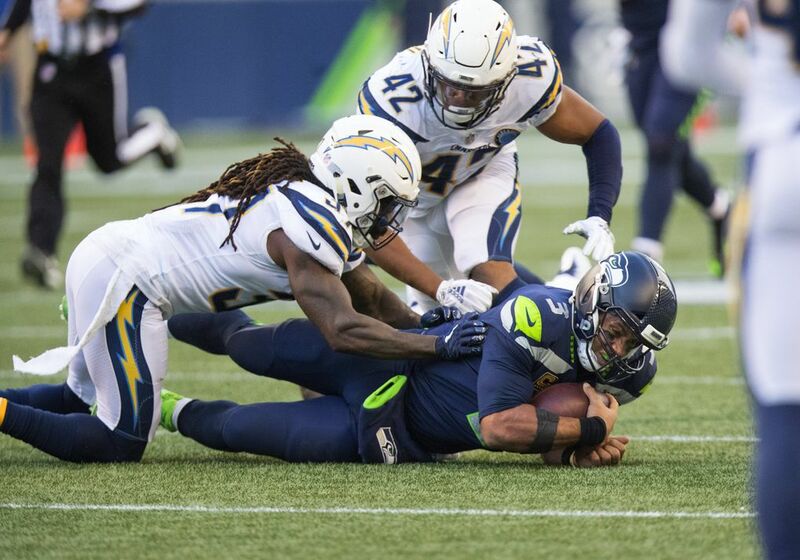 But what happened on that final play at CenturyLink Field against the Chargers was much too much like all that had happened in the previous 60 minutes of football — a lost opportunity for which Seattle could blame only itself. 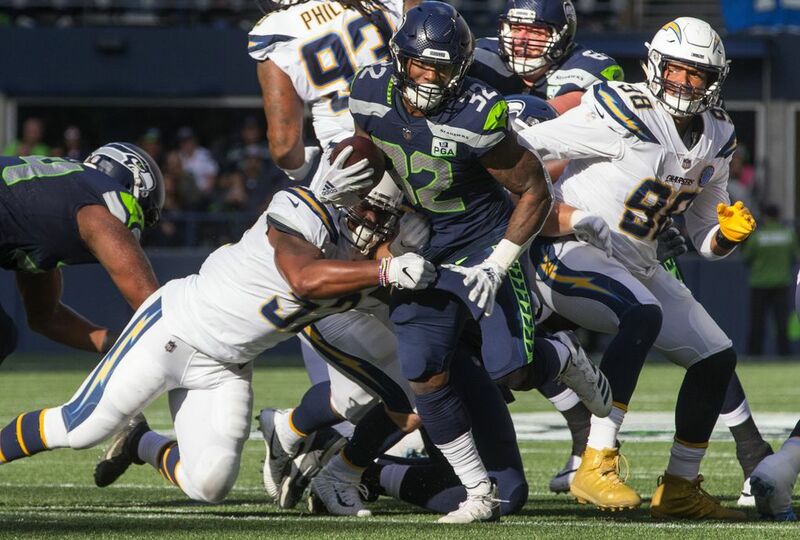 “We gave them too much,’’ Seahawks coach Pete Carroll said after a 25-17 loss to the Chargers in which Seattle committed 10 penalties, threw a pick-six and, too often, seemed to come up just a bit short. 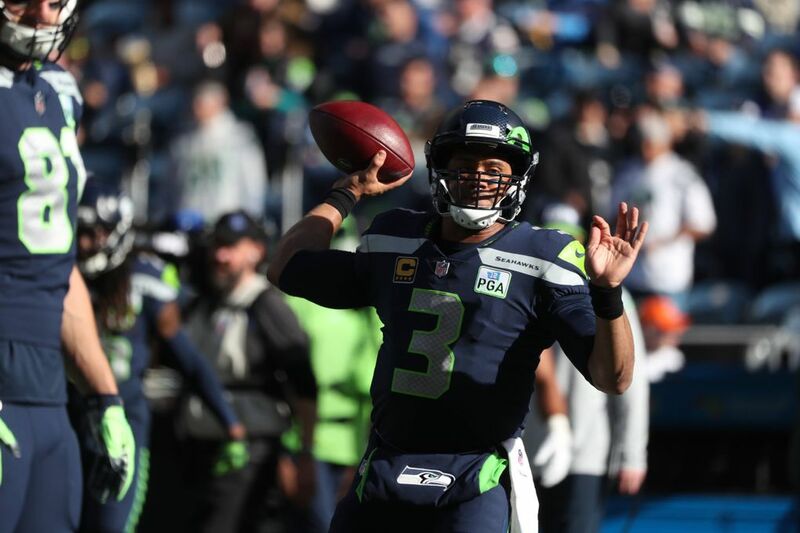 “We kind of hurt ourselves a little bit,’’ said quarterback Russell Wilson. 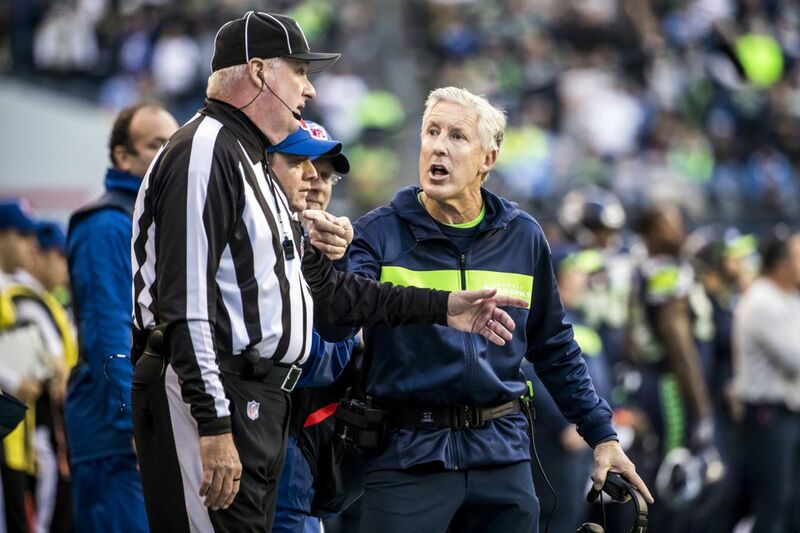 No more so than during those seconds at the end of the game that didn’t officially count. 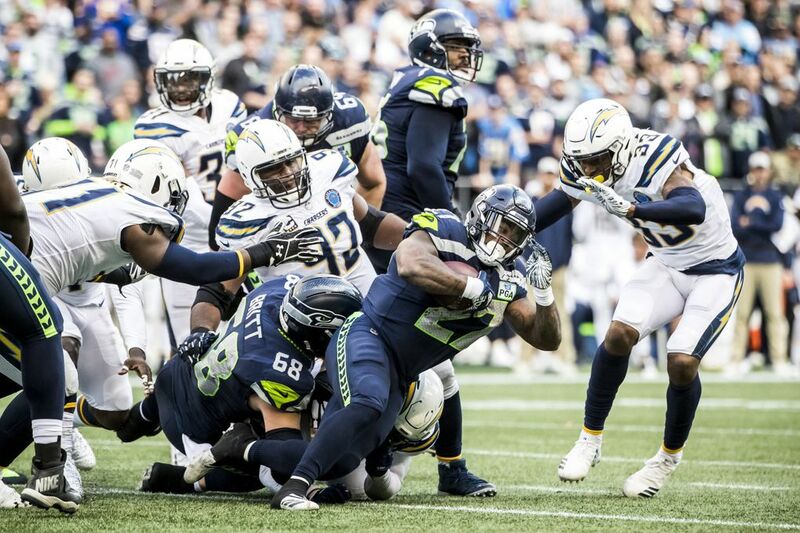 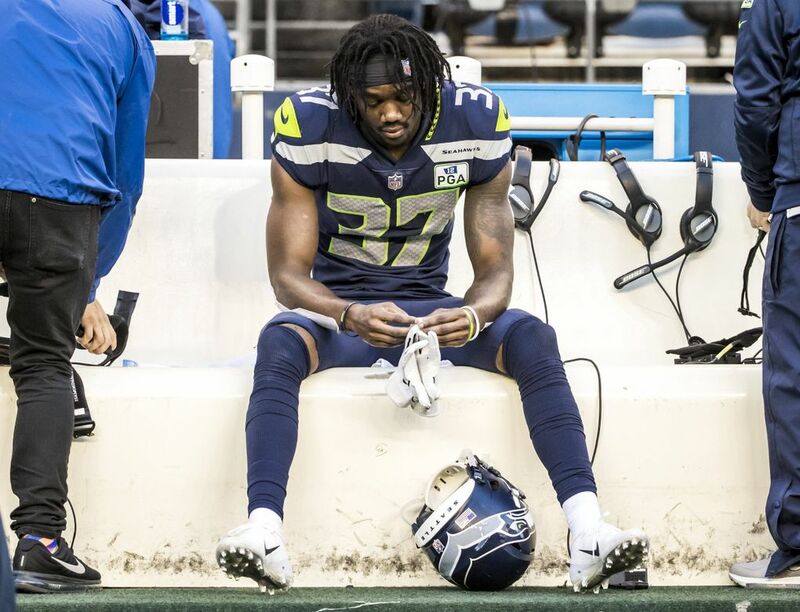 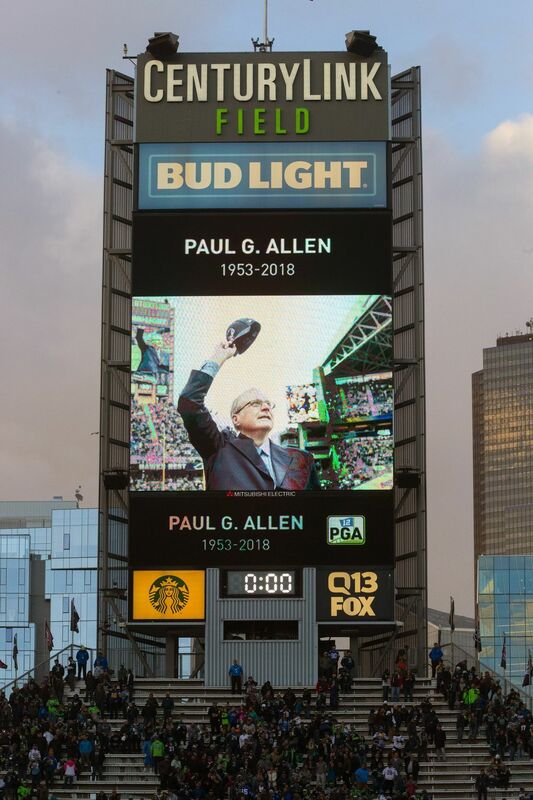 After trailing throughout the final three quarters, the Seahawks mounted a furious rally in the final 6:44 to score one touchdown and then get on the doorstep for another, when Chargers cornerback Michael Davis was called for pass interference on Tyler Lockett in the end zone as time ran out. 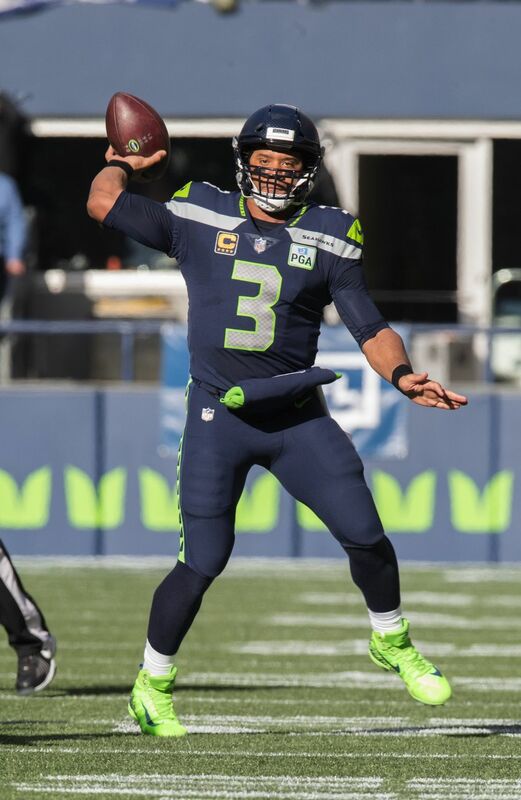 That put the ball at the 1, Seattle just three feet away from a touchdown and then a chance to make a two-pointer to force overtime. 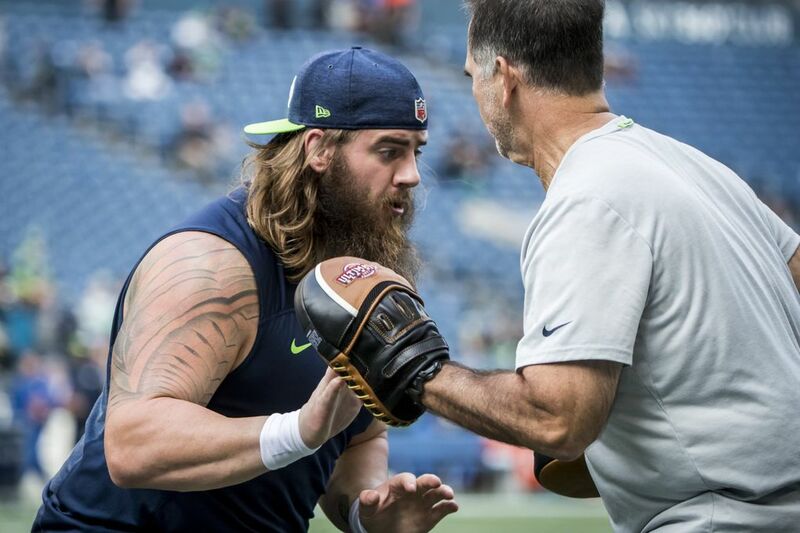 But as Wilson barked out signals, Charger defensive lineman Corey Liguet rolled back and forth in his stance once, then twice. 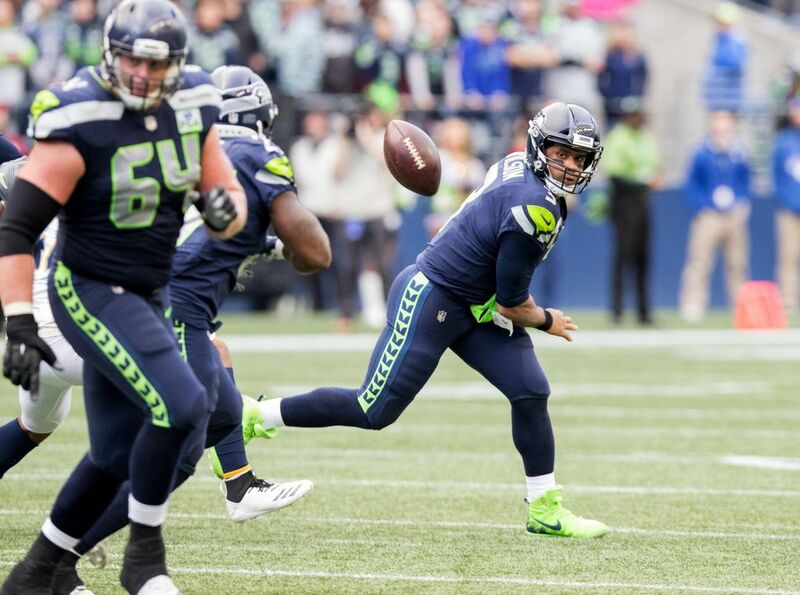 And finally, Seattle’s J.R. Sweezy flinched, a move that drew a flag and forced the Seahawks back 5 yards. 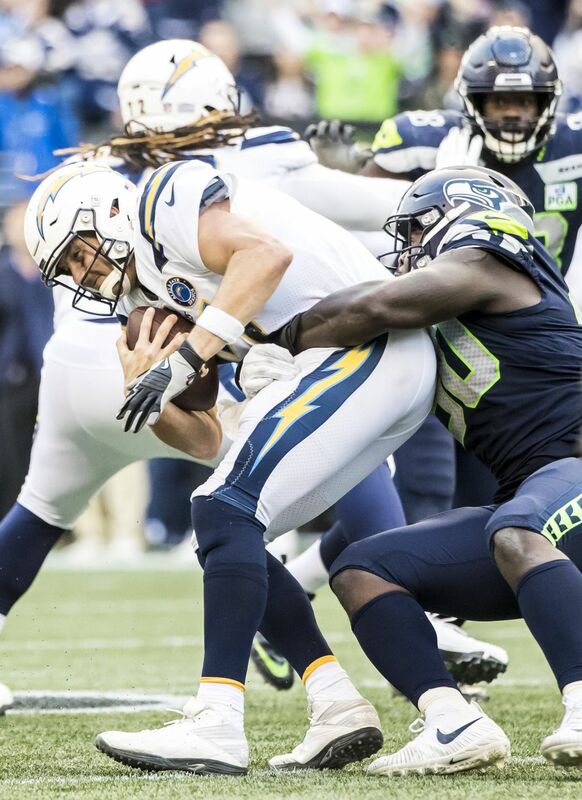 Sweezy declined to be interviewed after the game, but Carroll protested that maybe it was the Chargers’ first move that should have been flagged. 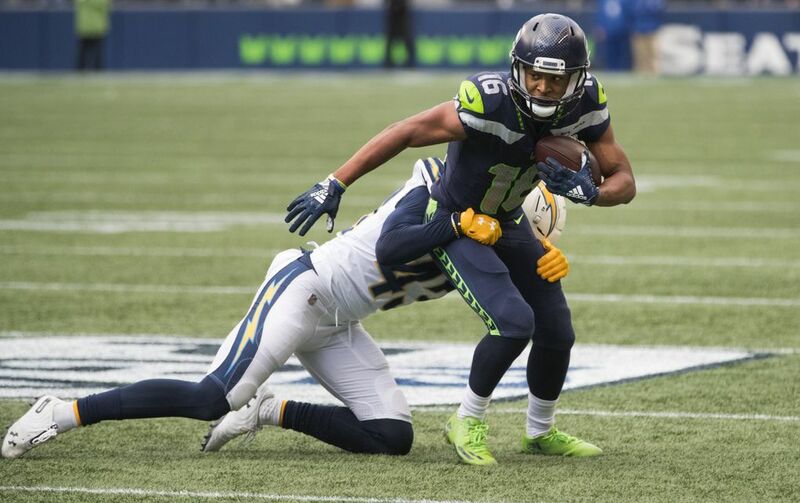 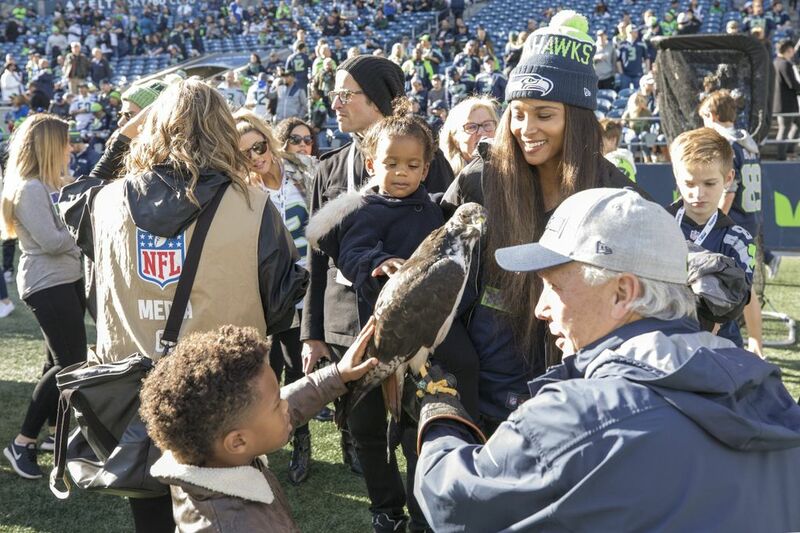 Now backed up to the 6-yard line, with no timeouts left, the Seahawks changed things up and Wilson dropped back, then moved up in the pocket until he spotted second-year receiver David Moore flashing in the back of the end zone. 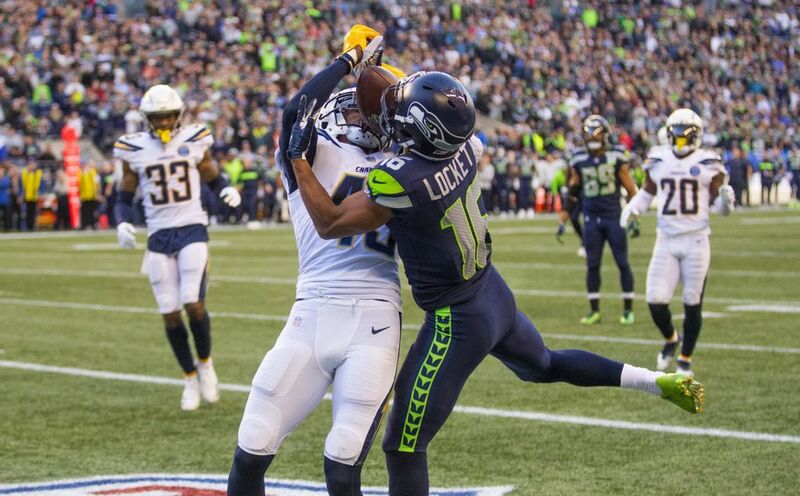 But Wilson’s toss was tipped by Chargers safety Jahleel Addae, who was guarding Lockett but made a quick leap to his right to try to disrupt the play. 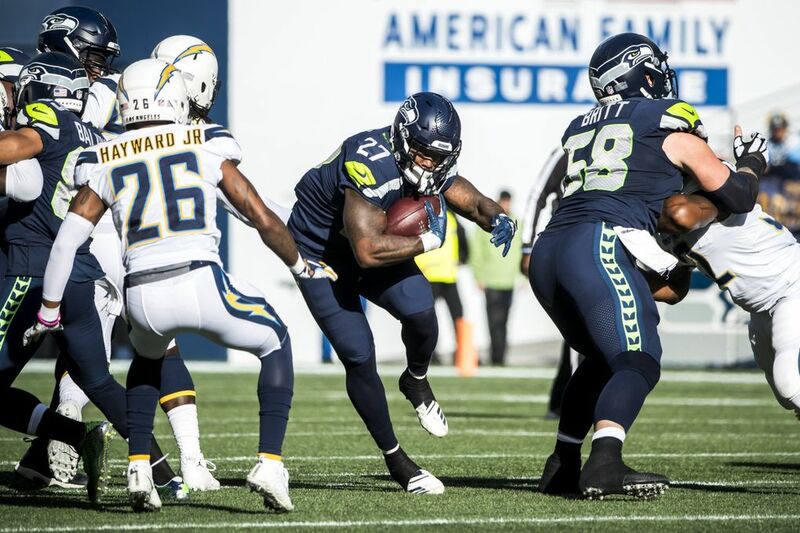 The ball went off Moore’s chest as Moore fell to the ground and pounded the turf in frustration. 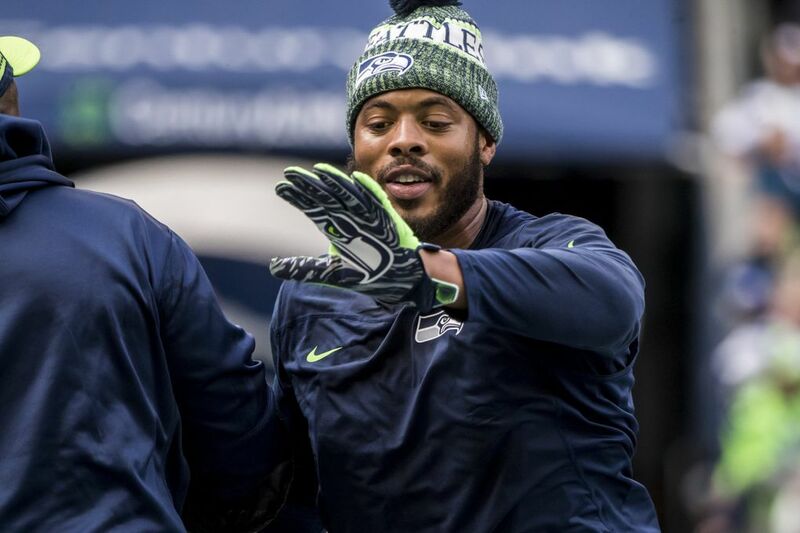 Moore also did not comment after the game, with Doug Baldwin waving off reporters for him. 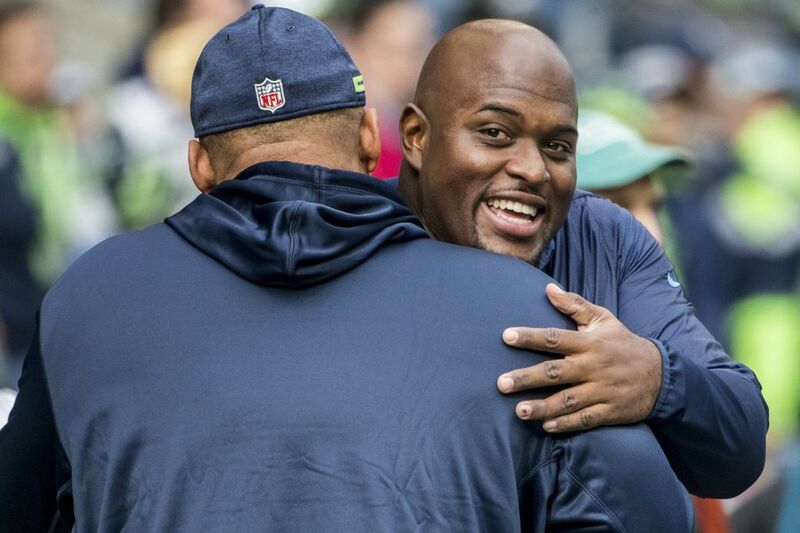 But Moore and Sweezy were hardly alone in harboring regret over the way this one ended. 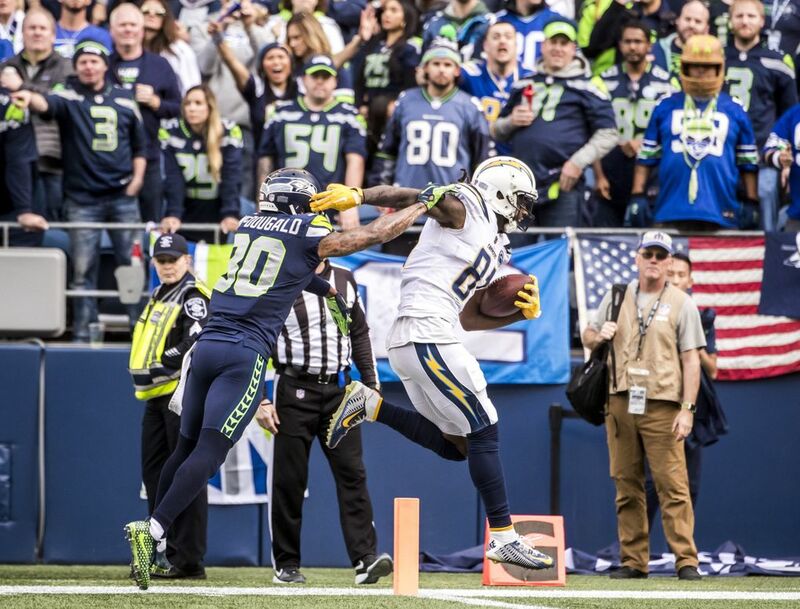 Wilson also missed on a couple of throws — he underthrew Jaron Brown in the third quarter on a play that might have resulted in a touchdown — and threw an interception that was returned for a touchdown by Desmond King II with 6:44 to play, and widened the Chargers’ lead to 25-10. 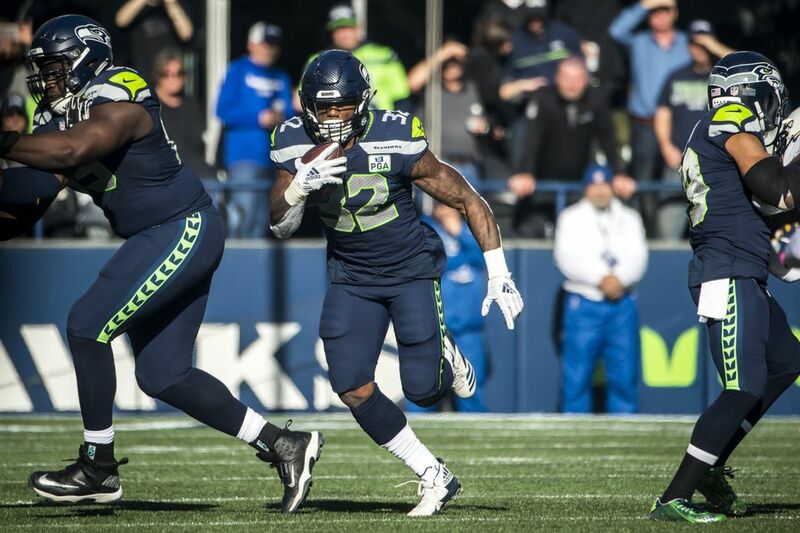 King appeared to break off from his assignment to cut in front of Moore and grab the second pick-six Wilson has thrown this season. 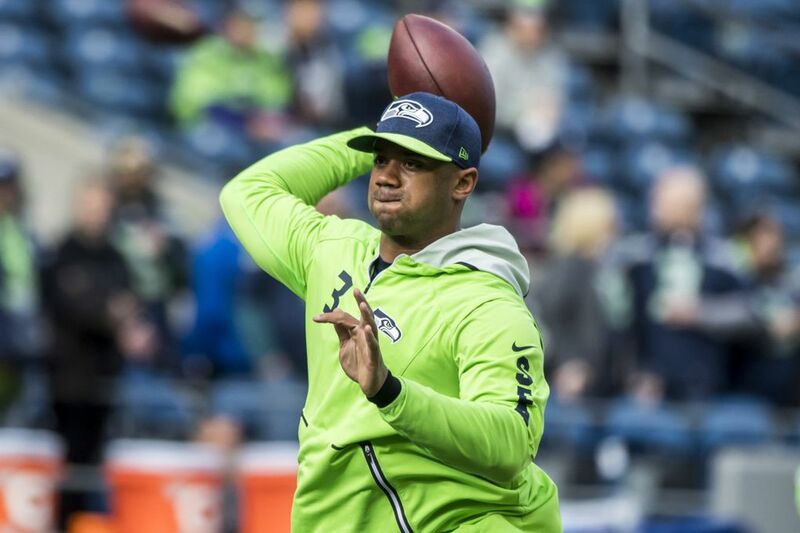 Until this year, Wilson had thrown only one regular-season pick-six in his career. 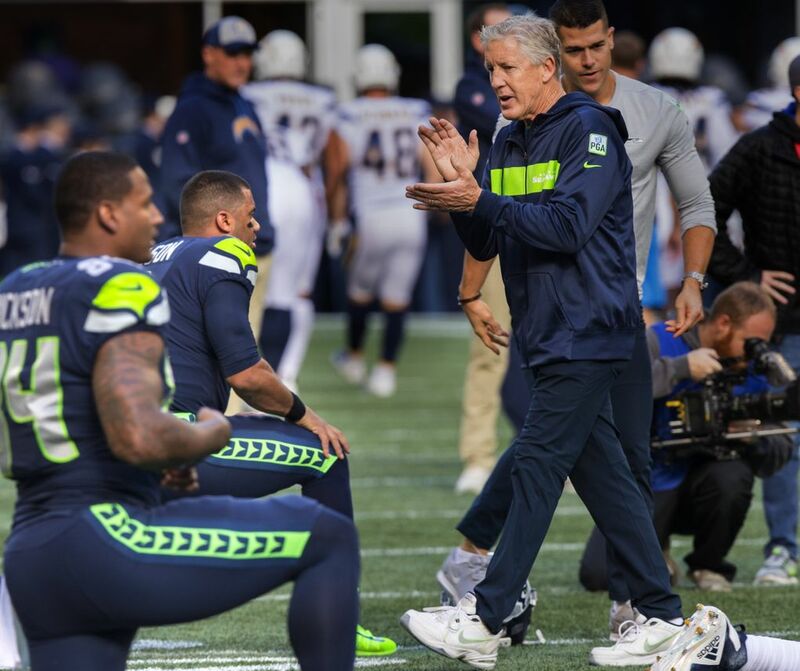 That, ultimately, described the entire game for the Seahawks, who entered the game Sunday as one of the hotter teams in the NFL, having won four of their past five games. 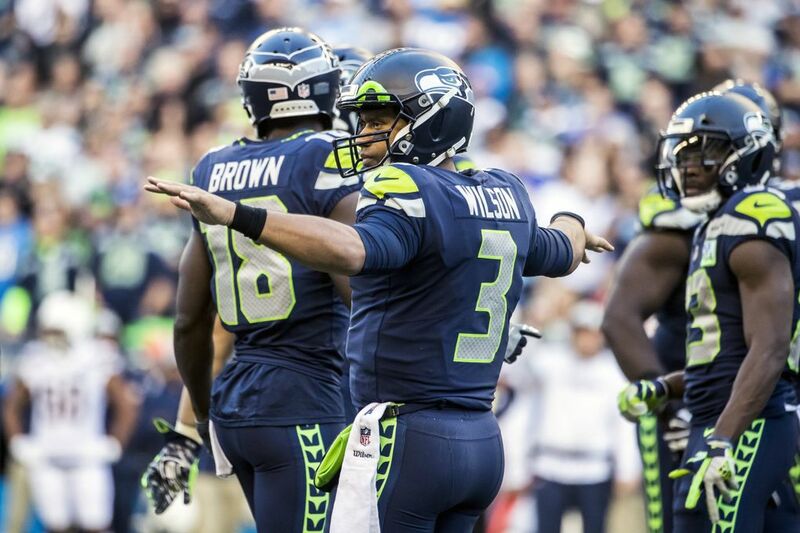 They started hot, driving 75 yards on 13 plays on the opening drive of the game to take a 7-0 lead on a 10-yard Wilson pass to Brown. 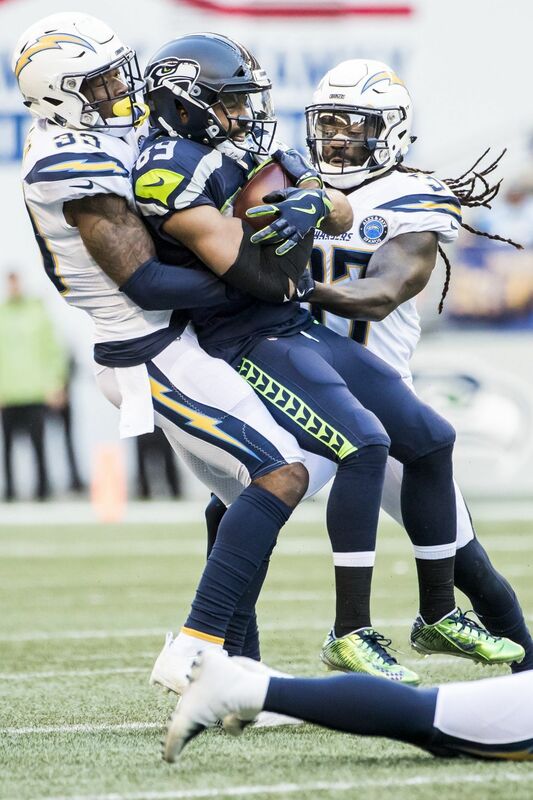 Brown said later it was a broken play and he just tried to make himself open once he saw Wilson scrambling. 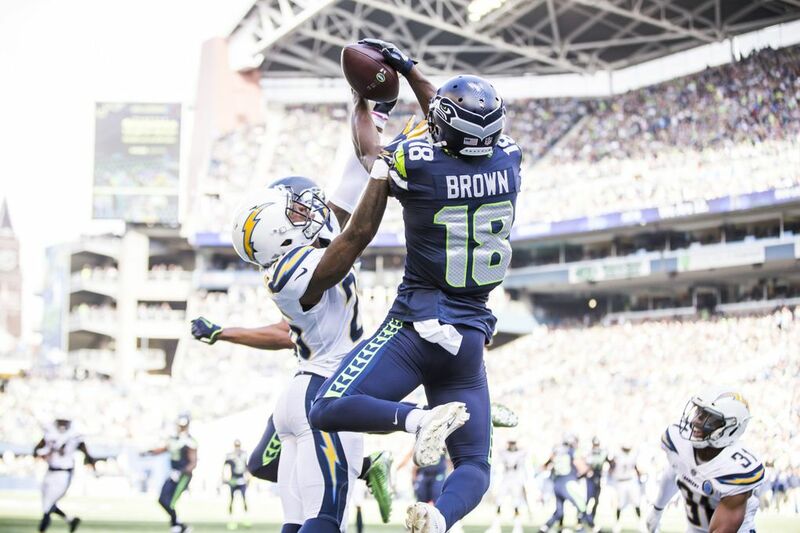 “That was a heck of a play by (Wilson),’’ Brown said. 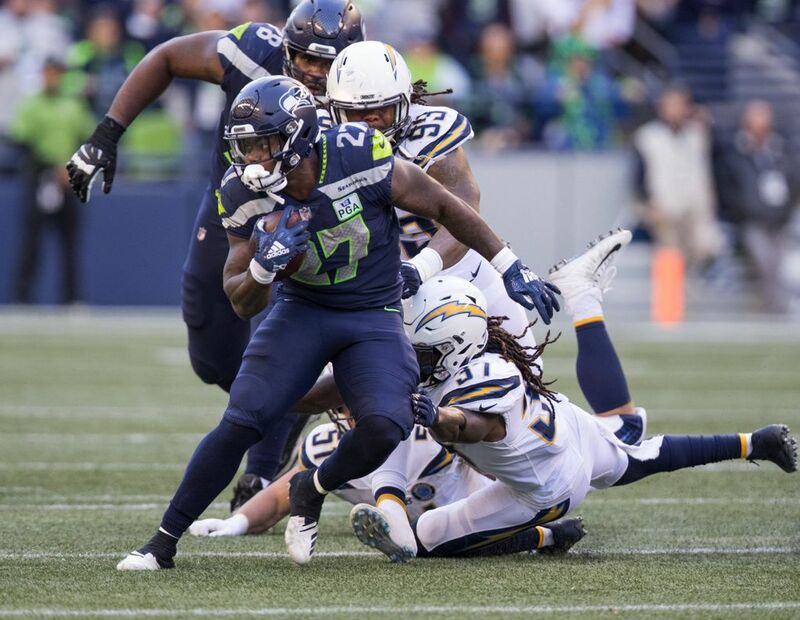 But the Seahawks let the Chargers drive quickly down the field for a touchdown that would have tied the game if their kicker, Caleb Sturgis, had not missed the extra point. 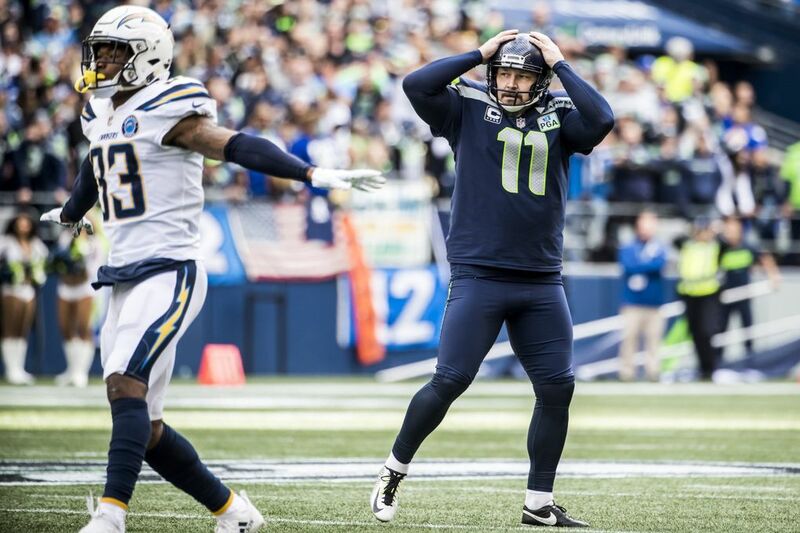 Sturgis would miss another later in the game, as well as a 42-yard field goal and might well have lost his job. 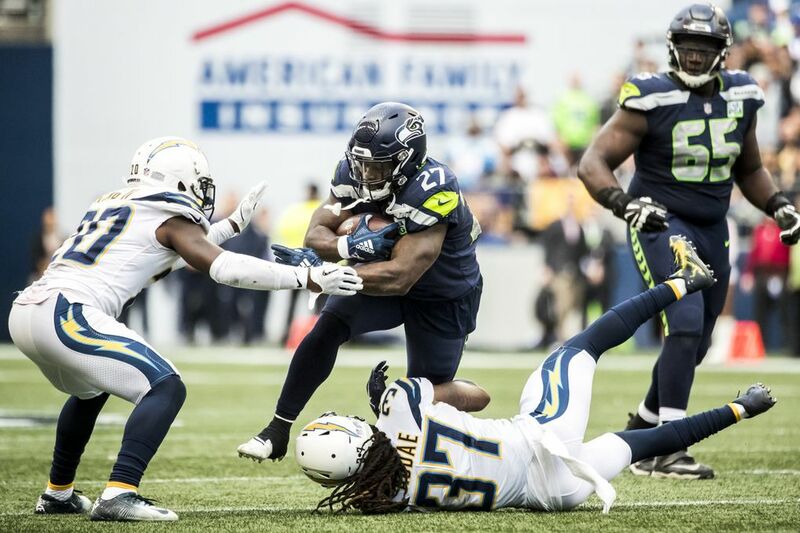 The Chargers then dominated the next two and a half quarters, ultimately outscoring Seattle 25-3 from the 6:55 mark of the first quarter to the 1:50 mark of the fourth. 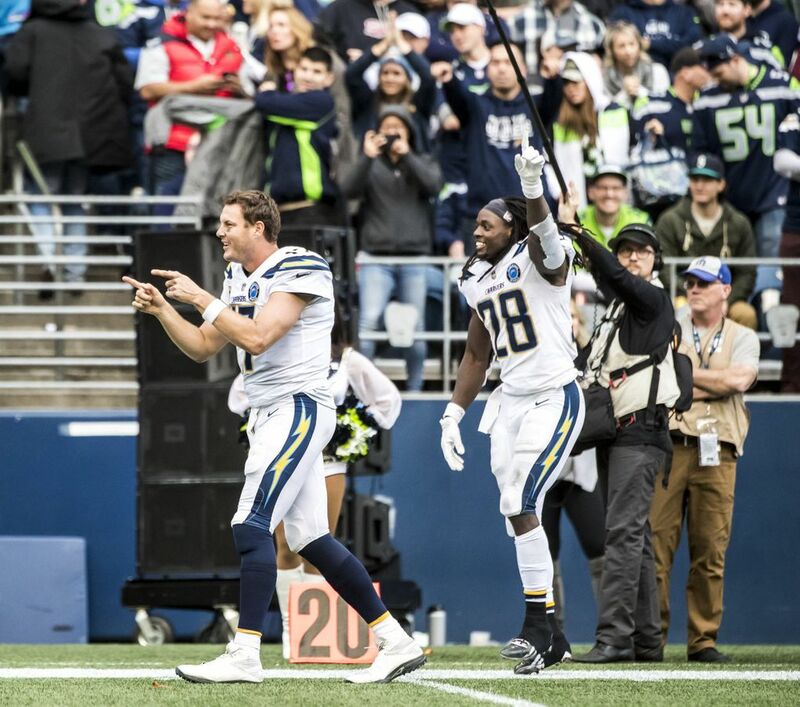 Chargers quarterback Philip Rivers threw for 228 yards and two touchdowns and tailback Melvin Gordon rushed for 113 on just 16 carries. 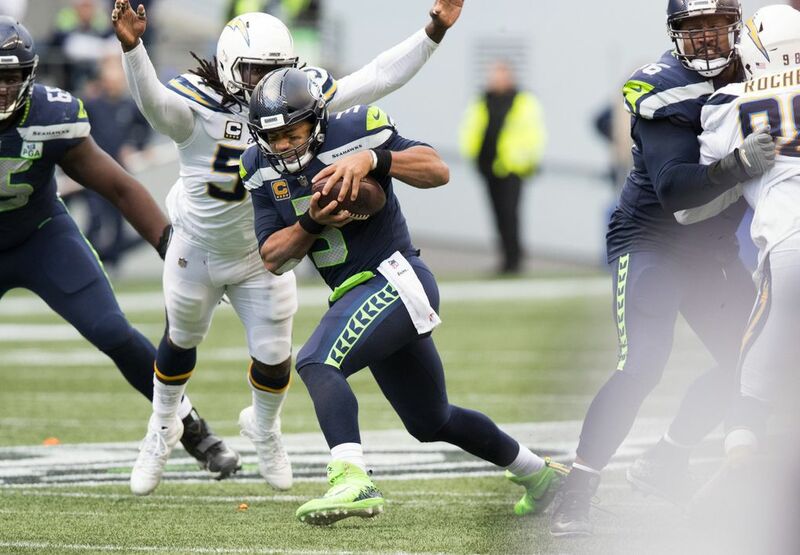 The defense at least got the stop it needed after Wilson led a mad-dash drive to cut the Chargers’ lead to 25-17 and set up the hectic ending. 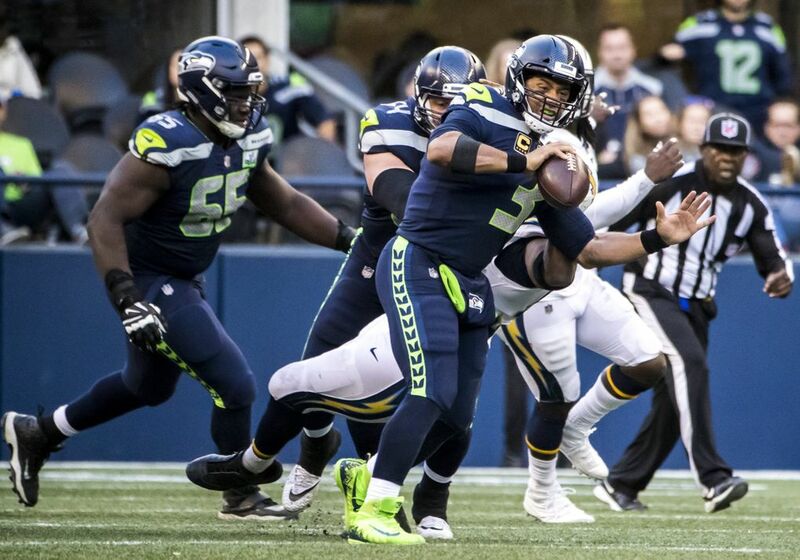 Indeed, if the Seahawks wondered about the call on Sweezy, the Chargers grumbled about the penalty on the play before, when Davis jostled with Lockett to force what initially appeared to be a game-ending incomplete pass. 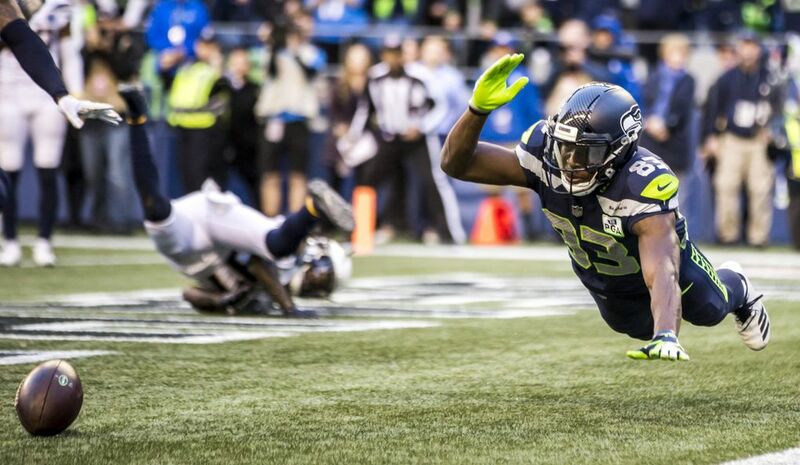 The failed untimed down at the end also gave the Seahawks a 4-4 record to finish out the first half of the season. 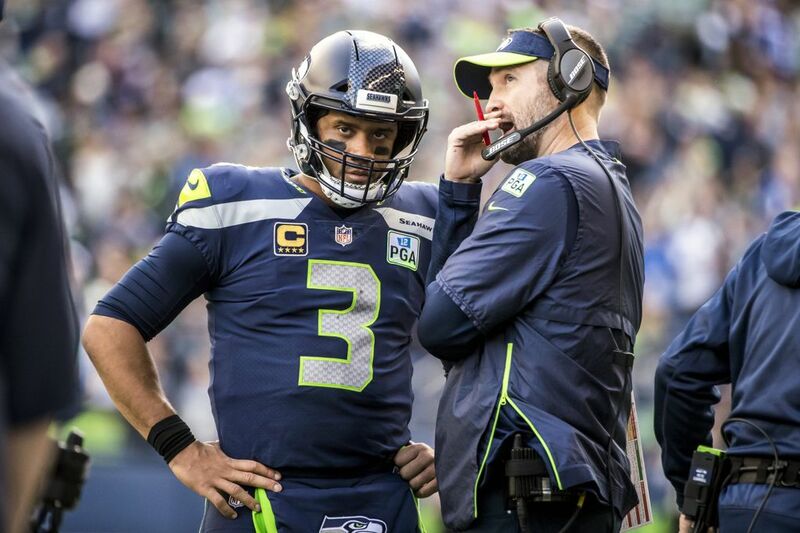 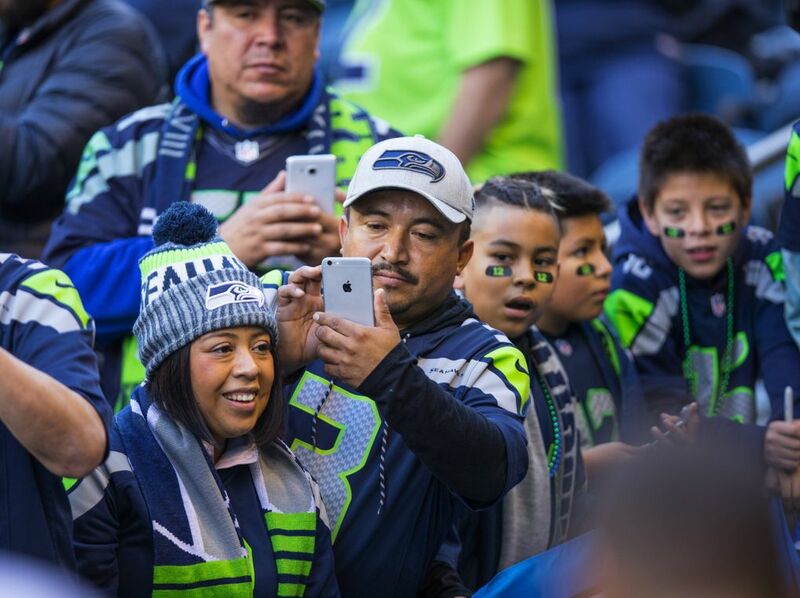 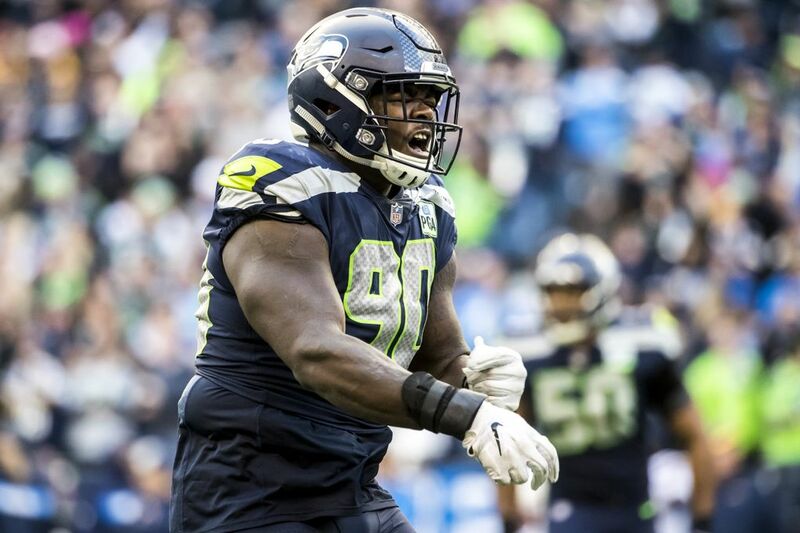 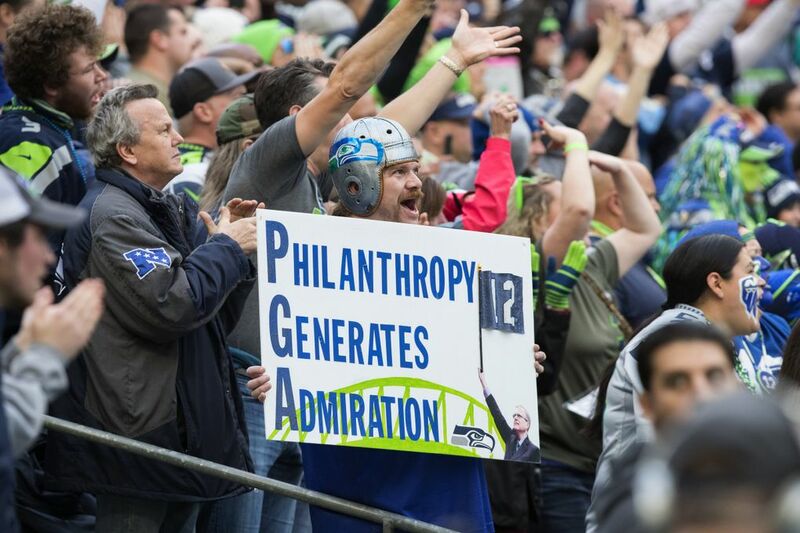 It also dealt the Seahawks a tough blow as they enter a particularly tough stretch of the schedule with upcoming games against the 8-1 Rams, the Packers and the 6-2 Carolina Panthers. 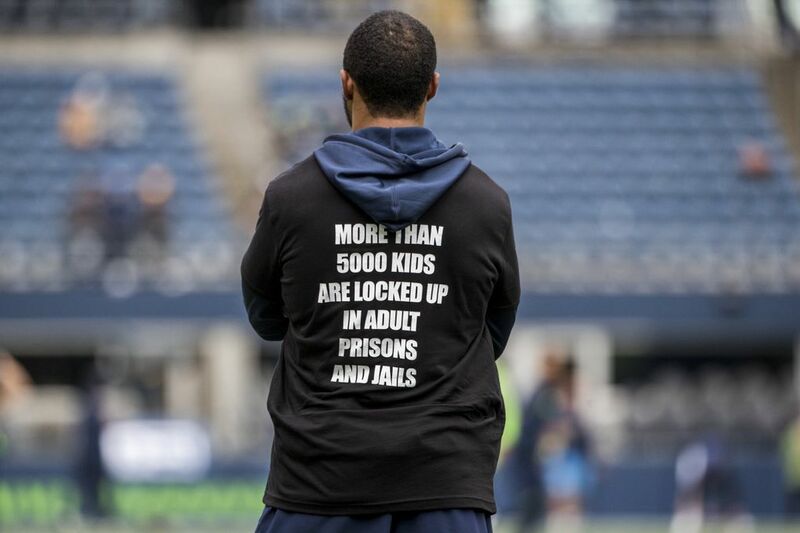 And a on a few too many occasions, did things to not get it done.